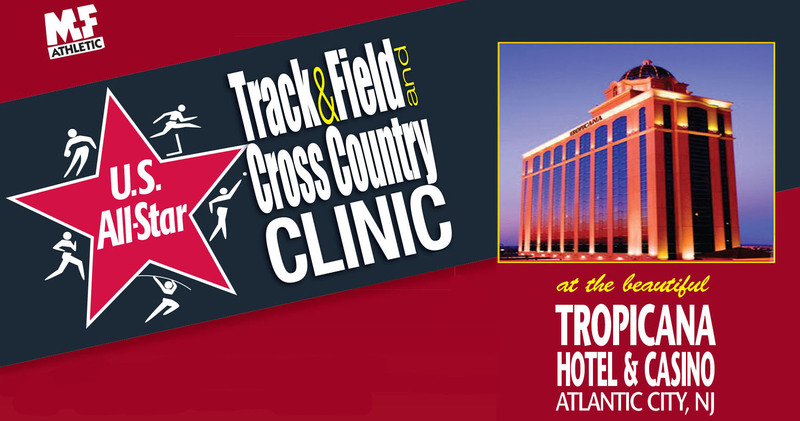 The U.S. All-Star Track & Field and Cross Country Clinic is designed to get our attendees excited for the new track season, will help expand your coaching knowledge, provide an opportunity to network with fellow coaches and trainers, and of course to have fun! Outstanding Experts cover all phases of Track & Field and Cross Country. Practical coaching information that can be applied immediately. All experts will focus on material that empahsizes important fundamentals. The Tropicana is one of New Jersey’s premier resorts and provides a world-class experience in a spectacular hotel and casino packed with amenities. This sprawling Boardwalk and beach-front resort includes, over 20 dining options, live entertainment, a wide selection of retail shops and round-the-clock casino gaming. A perfect fit for everyone! All sessions will include technique, drills, weight training, conditioning and more! FREE 3 Early Bird Seminar Special Sessions. Downloadable Clinic Notes Available Prior to Clinic.